An enjoyable,light-hearted comedy with a few unexpected twists. The arrival of an unexpected guest affects three women,resulting in them questioning themselves and their close relationships. Great beach read! Mostly light hearted and funny with enjoyable characters. An easy and pleasant read. Once a month three couples get together for a dinner party. They are Beth, Sarah and Marie, and their respective husbands, Chris, Tony and Duncan. It is Beth's turn to host and Beth and Chris are quite frazzled. She is more than annoyed at his forgetfulness during preparation, and even more so when he suddenly mentioned he has invited a new friend to the party, Simon. Simon's wife recently left him, and Chris thinks Simon could use a pick-me-up. Simon attends and everything that could go wrong did go wrong, if not at that event, certainly to come. 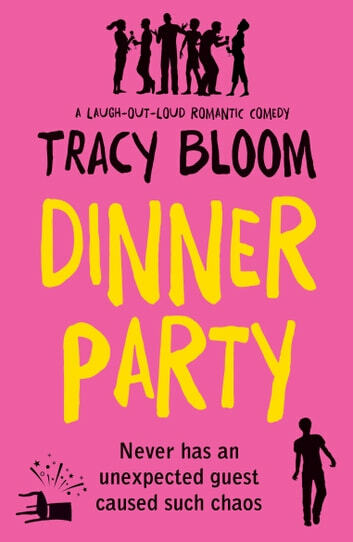 There are a lot of chapters in Dinner Party. Each chapter is written from one of the group's point of view. We are also treated to an ongoing interview with the individual members by a journalist of some sort at the end of each chapter. Hints are given as the story goes along that chaos has ensued. It takes a bit of reading through to absorb all of the consequences that will occur by simply inviting one extra person to the dinner party. Dinner Party is truly a character-driven story. We are easily drawn into the personalities and characteristics of each one in the group. There is a fair amount of humor in this story - let's just mention Chris and his obsession with dips. Yeah, definitely humor. However, it certainly is not the laugh-out-loud sort. As the connections are made with each character, there is also a fair amount of sadness, especially concerning specific individuals. This is an easy and pleasant read. 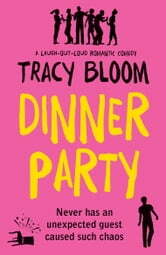 I was able to enjoy this book and do look forward to reading more of Tracy Bloom in the future. Many thanks to Bookouture and to NetGalley for this ARC to review in exchange for my honest opinion.